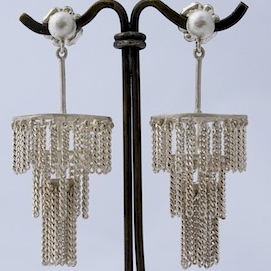 Check out the work of German trained, Master Goldsmith, Jane (Yanna) Frank. Elizabeth Bunsen and my models will be wearing her work on the runway. My request was for Jane was for her to create something prairie chic, bohemian and earthy and then total freedom. Yes, she nailed it. I love the quality of these pieces and the way they reference prairie grasses, nature and the palette we are working with. It will be a pleasure to showcase these pieces with our clothes and accessories. Beautiful work, Jane. Thank you. You can see how well they fit in with what we’re working on…leather, ecodyed textiles and a print made from Elizabeth’s rust work on paper. Oh, it’s fun to work with such talented creatives. This Friday and Saturday I’m part of a TRUNK SHOW at VINTAGE INSPIRED in Burlington, Vermont with 6 very talented women. We call ourselves, “LEVITY seven”. We meet every few weeks over coffee in one of our studios or homes and talk about the issues of running small businesses. Sometimes we stay on topic and often we talk about what’s happening in our creative lives. What an amazing group of women to spend time with and learn from their collective experience. Having LEVITY in our group name reflects that we don’t want to pile more pressure on each other to do more than we already are, but rather reflects our level of encouragement and collaboration…with a healthy dose of humor. Our group includes mostly Germans…two women are jewelers, one a fused glass artist and a garden designer. There are also a few very talented American women—a contemporary painter and the owner of CB Sacks—a Burlington company that makes beautiful bags out of coffee sacks from around the world. Here’s what I’m preparing for the TRUNK SHOW…bracelets, pendants, a few paintings, hand-painted shoes and a few paintings. I’m not a terribly skilled salesperson. It just doesn’t come very naturally to me—so if you come to our TRUNK SHOW I’ll be the one showing the merits and creativity of my friend’s work. Please stop by if you’re in the Burlington, Vermont area. 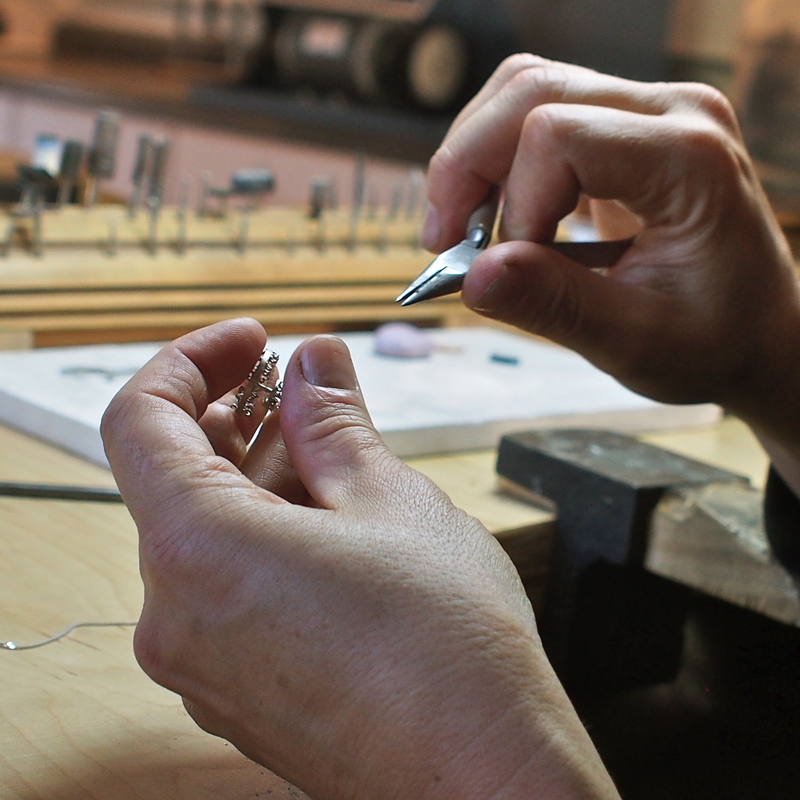 This week I had the pleasure of taking pictures of my friend and master goldsmith German jeweler, Jane (Yanna) Frank. She has created this remarkable space in a converted garage for her ongoing classes and her own work. Jane’s work is simply stunning. She is going to submit photos to a fabulous publication called “Where Women Create”. This magazine highlight the creative spaces of women from all different disciplines and backgrounds. These are a few of the photos I shot in Jane’s space. If you are into INSTAGRAM we would really appreciate you checking out (and hopefully following) our instagram profiles. Why do we beat ourselves up over what we DIDN’T get done? I often find myself at the end of a week wondering what I have to show for it all. Since I live a creative life with a constantly emerging curriculum it’s a challenge to not beat myself up over what else I would’ve accomplished. This week I decided to see things differently. Instead of looking at my list of what I didn’t accomplish, I made my list of what I DID and it was pretty interesting. I sometimes long for a narrower focus as I written about before, but the variety of stuff I do is interesting and puts me in contact with a lot of people who really fuel my creativity. I had a big group of people over for brunch on Sunday and it was great to hang out at such a mellow time of the week. It’s always pretty fun to have a glass of Prosecco and a bagel in the morning. I cleaned out cars and ran all of the regular household stuff we all have to do. My husband, Jeff Govoni was gone on a leadership camping trip in the rafting down the Colorado with an incredible group of people. He was so remote there was only a satellite phone so it was just me and my kiddos this last week. He’s a leadership coach and this was quite a journey with interesting business leaders from around the globe. LINK BELOW to his site too. So, the next time you’re temped to be hard on yourself for things undone on your list. Make a DONE LIST for the week and pat yourself on the back. There is always next week. Happy Weekend! I have been nesting in my studio which for me always means making room for new possibilities—always very exciting. I rediscovered this bird, he was hidden away all dusty. This painting is actually titled “Possibilities”. I brought him out into the light, cleaned him up and have let him be my creative guide while I clean, sort and categorize. He reminds me that as artists, too often we make these beautiful things and then never show them to anyone for risk of failure or perhaps even risk of success. 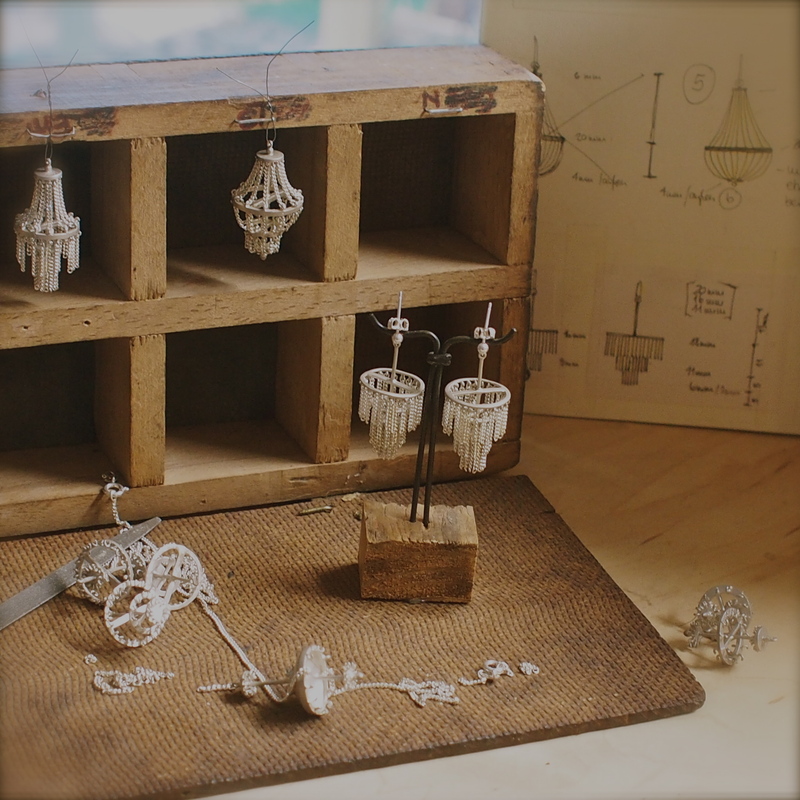 I just had a lengthy discussion with a friend today—a remarkable jeweler Jane Frank. http://www.janefrank.de/index.html We are both artists and we discussed how challenging it is to be creatively authentic and develop the skills needed to sell our work. I was once told that you have to soft as a lamb to create and tough as a rhinoceros to sell. These are two very different skills and one area generally suffers if you are working hard in the other. Now I put myself out there today. SO, what steps can you take to up your game? P.S. Oh, and by the way lots of these works are for sale and I welcome commission work. I sure wish I had an agent. Today felt scattered and not very productive in the studio. However, 13 years ago today I was in labor with my twin girls, Lucy and Willa so my mind is elsewhere and I won’t be too hard on myself about my lack of focus. The copper flower pieces I’ve been working on in my jewelry class to use for the center of the pendants. I am also experimenting with some leather paints to see what kind of effects I can create.